Today we are going to see what I have received in my September Vellvette box, as they had some problem with the shipment I got my beauty box a bit late. Due to the customer demand they have started to send the samples in a Bag instead of Box. This month the samples came in a beautiful red bag with polka dots. I like all the shades in this eye shadow palette, they are very subtle and beautiful. The color pay off is also quite decent. I have never heard about this Lord & Berry brand. This is a beautiful Bronze color pencil lip gloss will try it soon and post a review. I want to try Organic surge brand for a long time, Happy that I have received it this month. Their products are 100% paraben, SLS, synthetic fragrance and colorant free. I like Nature's co brand, So excited to try this one. The lotion which I have received is designed for dry and sensitive skin. This is a Nice compact flip open mirror with pop out brush, It's definitely going inside my hand bag. Over all this month bag was ok for me, but it would be nice they could add more luxury product samples instead of unknown full size products. Click Here to check out August box review. 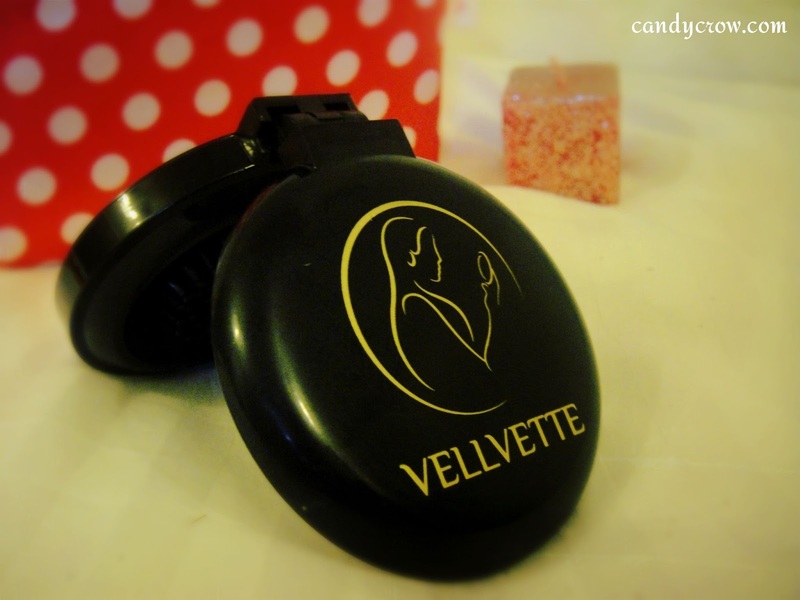 What did you receive in you Vellvette Box this September ?